Air traffic control is an exciting, interesting, exacting, and high paying career open to anyone with a willingness to study, learn, and work hard. It can be a difficult profession to enter, but the rewards are worth it! 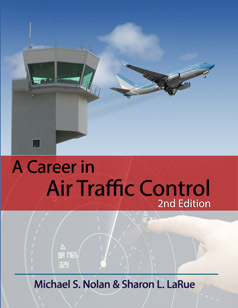 This book is an attempt to inform you about all the different careers available as well as act as a primer concerning the basic principles and practice of air traffic control. This book will make you a better-informed applicant or student of the profession. Professor Nolan's practical approach to the field and comprehensive coverage of difficult to understand concepts is key in providing you with a decisive advantage in reaching your goals of becoming an air traffic controller. Unlike other books, which focus only on reciting rules and regulations, this book focuses on teaching you how the air traffic control system works and the rationale for why the system functions as it does. In short, this book will give you a solid foundation in air traffic control.